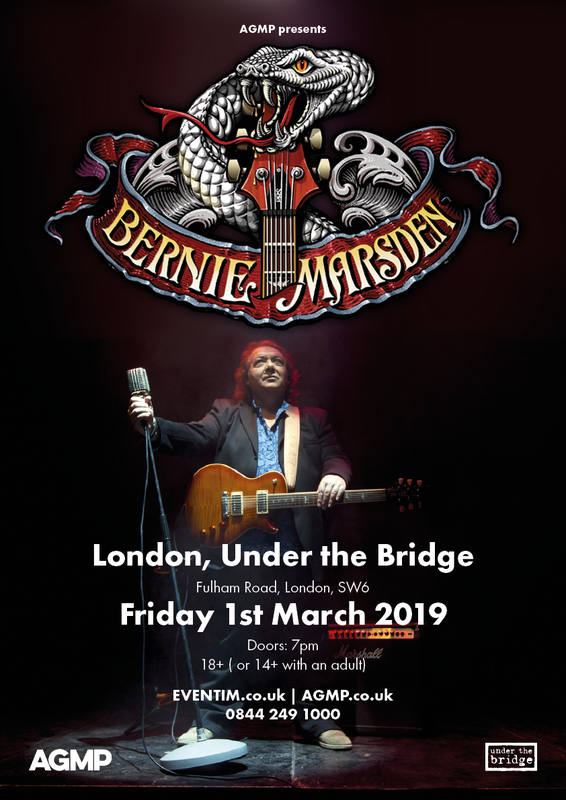 Bernie Marsden is an English Blues-Rock guitarist. In the early 70’s Bernie was an original guitarist for hard rock outfit UFO before becoming an original member of Paice, Ashton & Lord in 1977. After PAL split up, Bernie joined David Coverdale in the newly formed Whitesnake, helping to establish the band as one of the most successful live rock bands in Europe and Japan. In 1982 Bernie co-wrote the multi-million selling hit ‘Here I Go Again’ before leaving Whitesnake to form Alaska. ‘Shine’, is the most recent album by Bernie Marsden. Although Marsden was wary of flooding the credits with too many special guests, ‘Shine’ does feature some extremely well-known names, from Joe Bonamassa to Whitesnake singer David Coverdale and Deep Purple.